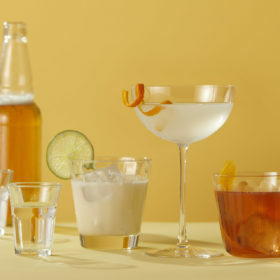 Get a load of these Latin spirits. The growing number of barrel-aged cachaças encourages another parallel with the wine world. Artisan brand Avua continues to be a leader in the space. When it launched a couple of years ago it laid claim to be the first single-sourced cachaça, and rolled out its luscious butterscotchy Amburana bottling, aged for two years in a Brazilian hardwood barrel. Avua Cachaça Oak (Brazil; Avua Imports, Miami, FL); 95 points, $50. Two years of rest in French oak casks yields a pale straw hue and mellow honey-banana aroma. The aged cachaça sips well, with lots of mouthwatering vanilla, brown sugar and crème brulee winding into a lingering baking spice finish. New to the U.S. as of October 2014. Pitu Vitoriosa Cachaça (Brazil; Winebow, New York, NY); 93 points, $125. Aged for a whopping five years in French oak barrels and packaged in a hefty, pear-shaped bottle, this clearly is meant as a premium offering. The amber spirit smells enticingly sweet, evoking vanilla, brown sugar and even traces of cola with orange peel. On the palate, it’s smooth and silky, with big, dark flavors: allspice, toffee, dark honey, toasted coconut, espresso and oak. Add an ice cube and a twist of orange peel for pleasant sipping. Sagatiba Pura Cachaça (Brazil; Campari America, San Francisco, CA); 92 points, $25. Clear in the glass, with a mild, sugary aroma, this cocktail-friendly spirit shows delicate vanilla and sugar, plus fleeting floral notes, raspberry and banana. Finishes smooth. Soul Premium Cachaça (Brazil; Bibo International, Newport, RI); 92 points, $25. Clean, versatile and cocktail-friendly, this cachaça offers tropical fruit and fresh-cut grass, accented with ginger-nutmeg spice on the crisp finish. Best Buy. Yaguara Cachaça (Brazil; MHW, Manhasset, NY); 92 points, $45. Despite the wave-like dark blue bottle design, created by glass designer Bryan Clarke to resemble the art deco pattern on the Copacabana Promenade in Rio, the spirit itself pours nearly clear, with a faint golden tinge. Look for bold, pungent notes of banana, coconut and vanilla dusted with cocoa, finishing long and fruity. Campo de Encanto Grand & Noble Pisco (Peru; Gemini Spirits & Wine, Chicago, IL); 92 points, $38. This acholado-style pisco has a distinctly fruity fragrance, evoking blueberries, tart plum and banana. The palate skews more floral, with just a hint of fruit and honey, tapering to a crisp, elegant finish. Campo de Encanto Pisco Distiller’s Reserve Quebranta (Peru; Gemini Spirits & Wine, Chicago, IL); 90 points, $46. This single vineyard pisco made with grapes from Atalaya Vineyard delivers a mix of light berry, cantaloupe and floral notes, plus a sweet bubblegum-like pop of flavor midpalate. Sips well, finishing moderately long with a melony fade. Pisco Porton (Peru; Pisco Porton, Houston, TX); 90 points, $40. Ideal for tropical drinks and pisco punches, this approachable, earthy-fruity pisco pops with lots of perky banana, pineapple and lychee, sliding into a spiced finish that suggests cinnamon- and cocoa-dusted pineapple slices. Campo de Encanto Pisco Distiller’s Reserve Moscatel (Peru; Gemini Spirits & Wine, Chicago, IL); 89 points, $46. This single vineyard pisco is made with grapes from famed Pampa de Villacuri Vineyard. It opens with delicate rosewater and white flower aromatics. The floral notes echo boldly on the palate, easing into a brush of tropical fruit and finishing with a floral exhale. La Caravedo Pisco Puro Quebranta (Peru; Pisco Porton, Houston, TX); 89 points, $25. From the makers of Porton, this pisco has an earthy scent that hints at coconut and orange peel. On the palate, coconut dominates the flavor profile, which is rounded out with vanilla, fleeting fruit juiciness at the back of the palate, and a prickle of clove and cinnamon heat on the finish. Try it in a pisco sour. Best Buy.